Theoretically speaking, tents are easier to set up than tarps. Same deal every time; give or take an extra guyline or two. Tarps on the other hand require a little more thought and creativity. Options are many and your choice of configuration may vary depending on space, environmental factors and personal preference. That being said, once you have some experience under your belt in different types of conditions, the process becomes automatic. You know what to look for, what to avoid and what pitch is most suitable for any given area. Great Sand Dunes National Park | Colorado, 2016. Practice multiple pitching configurations (e.g. A- Frame, Half Pyramid and Flying Diamond) at home before embarking on an overnight excursion into the backcountry. This is not a skill you want to be learning in driving wind and rain after a long day’s hike. Tip: Prior to heading out on a trip, spend a rainy night under your tarp in the confines of your backyard. This will give your confidence a boost (or not) before embarking on your maiden tarping excursion. Half Pyramid | Southeastern Serpentine Trail, South Carolina, 2011. A. 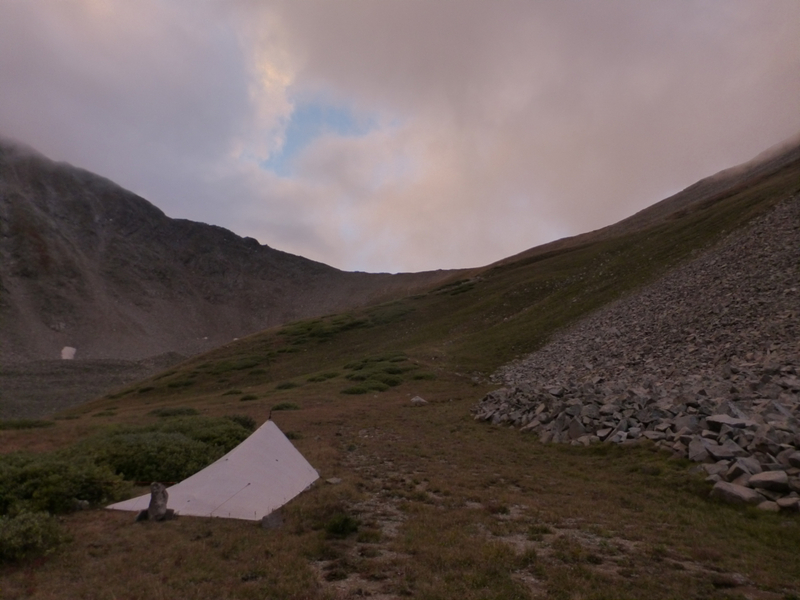 Planning Ahead – If you are hiking above tree line your tarp pitching options may be limited unless you are using trekking poles. If rain & wind are a possibility, plan on either camping below tree line (generally preferable) or alternatively carrying one or two appropriately sized sturdy sticks with which to erect your shelter. Pole-less hikers take note; as a rule you will need to up the cerebral ante in comparison to your pole-toting brethren. As the hiking day is drawing to a close, be on the lookout for trees, sticks, logs or rocks; basically anything that you can use to help set up your tarp. B. Drainage – Tarps are floorless, so extra emphasis should be placed on finding sites with good drainage. Depressions, gullies and dished/overly-used campsites should be avoided if there is a chance of precipitation. If you are using a groundsheet, before drifting off to the land of Nod, check that no part of it is sticking out under the edges of the tarp. This is a good habit to establish irrespective of the weather. If you forget and rain does end up falling on the groundsheet, you may find yourself waking up in a puddle. Not that I have anything against puddles, per se; I just prefer to walk through them rather than lie in them. C. Widowmakers – Always check for “widowmakers” before setting up camp. This particularly holds true if you are pole-less and rely on trees to help with your setup. For example, Beech trees may appear sturdy, but they have a well-earned reputation as widowmakers due to their propensity to shed limbs, particularly during the spring when rising sap makes branches heavier. D. Safety over Scenery – I love a scenic campsite as much as anyone. 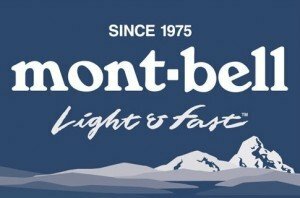 Mountain tops, high-altitude lakes, ridges with 360°panoramas. That being said, if inclement weather is on the meteorological cards, safety should take precedence over aesthetic considerations when it comes to campsite selection. Due to their “open” nature, never is this more true than with tarps. 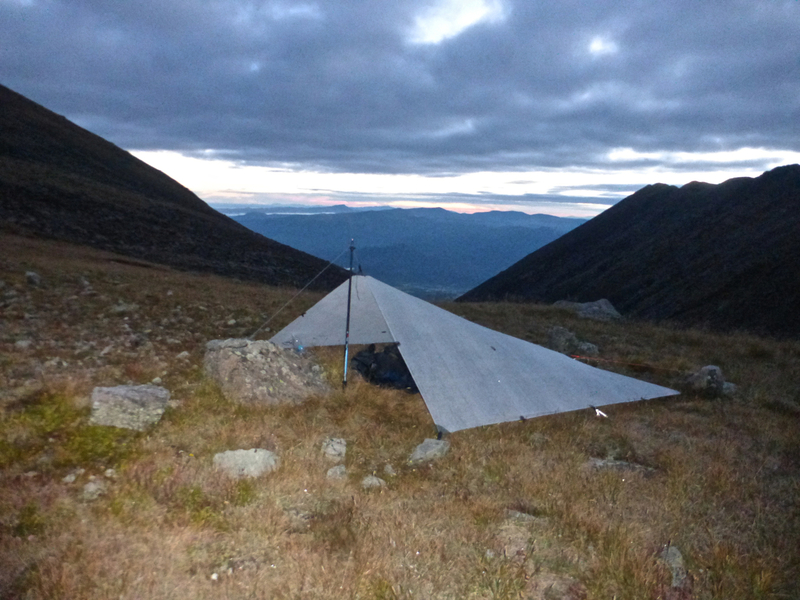 While a well pitched, appropriately-sized-for-the-conditions tarp, can provide all the shelter you will need, a poorly set up tarp in an exposed environment can be a recipe for disaster. It’s worth re-emphasising – always plan ahead. Check your maps in advance, know your potential campsite options and when in doubt (particularly if you are relatively new to tarping) err on the side of caution. Not much in the scenery department, but plenty in the way of shelter from the elements | Beartooth Range, Montana, 2016. Whilst there are a multitude of different options available, over the years I’ve found that 95% of the time I pitch my tarps in one of two ways – the Half Pyramid or the A-Frame. A. When camping in inclement weather, maximize your chances of staying dry by pitching your tarp lower to the ground. If using a solo-sized rectangular model (i.e. 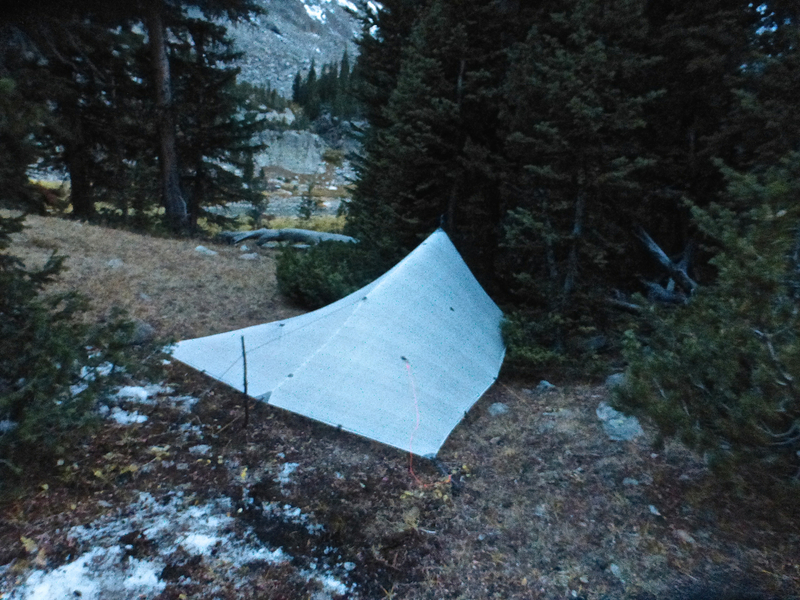 5.5′ x 9′ to 7′ x 9′) in such conditions, I’ll generally go with an A-Frame configuration, with the foot end of the tarp facing into the wind and the same back corners staked directly to the ground (see photo immediately below). When using a square tarp (HMG 8’6″ x 8’6″) in rainy environments, I’ll pitch it in “storm mode”; which I guess could be described as a low-to-the-ground Half Pyramid/A-Frame hybrid. 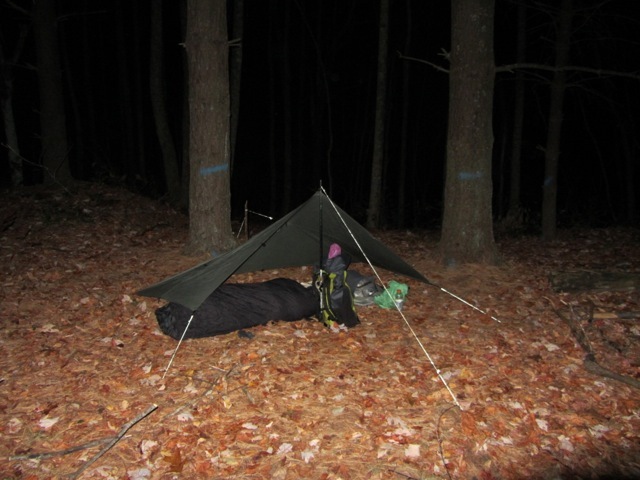 The MLD Pro Poncho in low A-Frame with the back corners staked to the ground (Photo courtesy of MLD website). B. 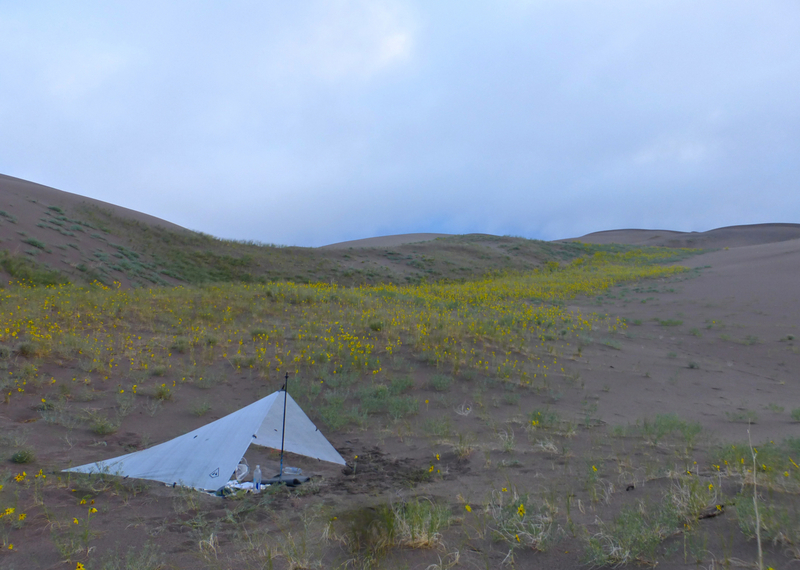 In mild conditions, the Half Pyramid is my go-to pitch when using a solo-sized rectangular tarp. It makes for a quick and easy set up (Note: I usually carry one trekking pole) and provides good ventilation. When using a square tarp in mild conditions, I’ll use the same basic Half Pyramid/A-Frame set up as mentioned above, just with a higher front entry and one or two of the mid-panel tie-outs guyed out, in order to create more interior space. The Calm after the Storm | HMG 8’6″ Square Tarp pitched in storm mode| Sangre de Cristo Traverse | Colorado, 2016. To attach guylines to the tie-out points on your tarp, use either a bowline knot or Line Locks. When employing the former, my long-time cord of choice has been the high friction and easy to spot in the dark, Kelty Triptease LightLine. If you go with the latter, it’s best to use a thicker 2.5-3 mm guyline, as thinner options may slip under heavy strain. For the stake-out end of the cord use an adjustable knot, such as the Tautline hitch, Trucker’s Hitch or Blake Hitch. 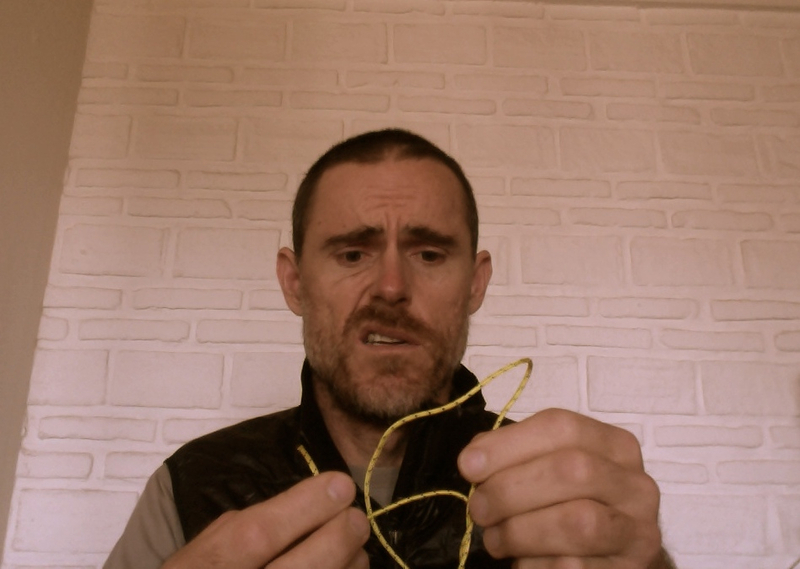 “How did it go again?” | For the nodeologically challenged, knot tying is another skill you might want to master at home before heading out into the backcountry. A tarp should always be pitched tautly. The key to a taut pitch is an even distribution of tension. In order for this to be achieved, you should always have plenty of tie-out points (both on the side, as well as the body of the shelter), guylines and tent stakes. Note that the respective amounts will vary according to the size of the tarp (i.e. the larger the tarp, the more you will need). One of the most common mistakes I see made by ultralight hikers is skimping on guylines and stakes in order to save weight. For the sake of one or two ounces, it just isn’t worth it. If you spend enough time in the boonies, there will always be situations in which you need to batten down the hatches and ride out a storm. This is considerably tougher to do if your tarp is flapping around harder than a hummingbird’s wings. 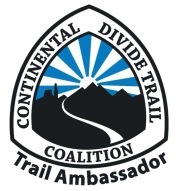 Sangre de Cristo Traverse | Colorado, 2016. Are you sure of your statement that you pitch A-frame when bad weather is likely. All of your photos show the half pyramid, so I’m curious about the A-frame pitch. I tend to favor the half pyramid with the low side toward the wind or a simple lean-to for more headroom in calm weather. Thanks for posting this. Thanks for the comment. I just clarified the particular paragraph you mentioned. When using a rectangular shaped tarp in inclement weather, I’ll pitch it low in A-Frame with the back end staked down. What’s the reasoning behind using a half mid if the chances of inclement conditions are minimal, and an A frame in dodgy weather? Is it a case of weather protection vs ventilation/condensation? In that comment I was referring specifically to rectangular shaped tarps. I usually carry one pole, so the half pyramid is quick and easy with plenty of ventilation. In storm pitch, do your feet poke the tarp? Is this an issue? Just wondering. It really depends on a combination of factors: your height, how low you pitch the shelter and your sleeping style. In my own case, I’m a 6’1″ (186 cm) side sleeper that curls up in fetal position. I’ve never found it to be an issue. I see. Thanks for this reply. I’m still struggling a bit with my storm pitch. I have a 8’6” square tarp and measure 6’8”. I’m wondering how high do you pitch the peak in storm mode. And how much of a gap do you leave between the ground and the sides for ventilation? 1 inch? I’m not surprised you’re occasionally hitting the sides if you are 6’8″ (203 cm)! In regards to the height of the tarp in storm mode, I can’t say I’ve ever measured it, but if I had to guess I’d say it was usually between 75 and 100cm (higher if I thought the chances of rain/high winds were relatively slim). Some of the photos in this article, should give you a bit of an idea: https://www.thehikinglife.com/2017/02/review-hyperlite-mountain-gear-square-flat-tarp/. Hello, do you use a bivy bag with your tarp? Or just a ground sheet. Because of condensatin issues. Yes, I usually use a lightweight bivy bag (e.g. Katabatic Bristlecone or MLD Superlight) with my tarp. Helps keep the splashes off my quilt during heavy rain storms and provides around 5°+ of extra warmth. Hi I’m wondering what length are your guy lines for your MLD Pro Poncho Tarp? When using the Pro Poncho I usually take two 8’ or 9’, two 5’, and four 3’ guylines. In Half Pyramid mode I stake the back corners to the ground, use a 8’ or 9′ guyline for the front apex, and 5’ for the front corners. I also use another 8’ or 9’ to guy out the back panel/hood to give me some extra space under the tarp. In Low A-Frame, I use 8’ or 9’ for the ridgelines (you could get away with 6’ or 7’ at the foot end if you wanted), 5’ for the front corners, and 3’ for the sides.